The San Francisco Examiner recently invited readers to submit questions about concerns they may have involving their employment situations. One of the questions being asked more often and was submitted to the news outlet was what happens if a worker takes medical marijuana for anxiety and is also looking for a job. The person who submitted the question stated she does not drive a bus and does not engage in any hazardous activities or operate heavy machinery. The worker is also concerned because the employer has stated it does random drug tests. This worker wants to know if she can be fired for testing positive for marijuana, and, as our Los Angeles employment attorney can explain, even in California, workers can be required to submit to a drug test, and, if they test positive, they can be fired even with a valid medical marijuana prescription. This is true in part because marijuana is still illegal under federal law. The reason marijuana is illegal under federal law is because in the 1970s, when the United States Controlled Substances Act was created, there was a lot of political pressure to outlaw marijuana. 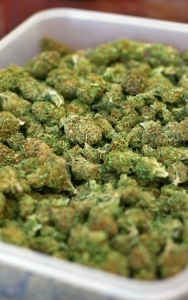 Some argued that marijuana was a gateway to other more dangerous drugs. They also argued that there was no medical value to marijuana and that it was highly dangerous and addictive. We now know this to be completely untrue. However, despite the fact that a majority of Americans now support legalization of medical marijuana, and proof that it has very real medical benefits exists, Congress has been unwilling to remove marijuana from Schedule One on the controlled substances schedule. Schedule One is reserved for the most dangerous and addictive drugs that have no known medical value. Pursuant to California law, as held in the case of Loder v. City of Glendale, the court determined an employer can ask, and require, prospective employees to take a test for illegal drugs and alcohol and can see the results without it being considered a violation of the California Confidentiality of Medical Information Act. In that case, the employer consented it was simply seeking information that would be relevant to its decision as to whether or not it would choose to hire prospective employee, and the agency obtained the employer’s test in a perfectly legal manner. The court was ultimately persuaded by this argument and found that it was not a violation or California labor law. The court did, however, say that such a request for testing and medical records must be justified, and, in this case it was, because of the problems that can be caused by a worker who shows up to work under the influence of drugs or intoxicated by alcohol. There are safety concerns for the worker and for others working as well as unaffiliated third parties in the community. There is also a cost in terms of human resources and employment training as well as slowdowns in productivity. Essentially, California medical marijuana law protects patients from being arrested but does not prevent them from getting fired for using marijuana.